Accommodation for visitors to Cape Town – are changes being driven by environmentally conscious travellers? Every year thousands of tourists flock to South Africa, a country which offers magnificent scenery – from mountaintops to ocean floors and cultural diversity. Dr Jennifer Fitchett, lecturer in Physical Geography at the University of the Witwatersrand, notes that the tourism sector represents one of the strongest and arguably most resilient contributors to South Africa’s GDP. However, despite these economic benefits there is an additional strain that is put on our natural resources and the environment by this sector. 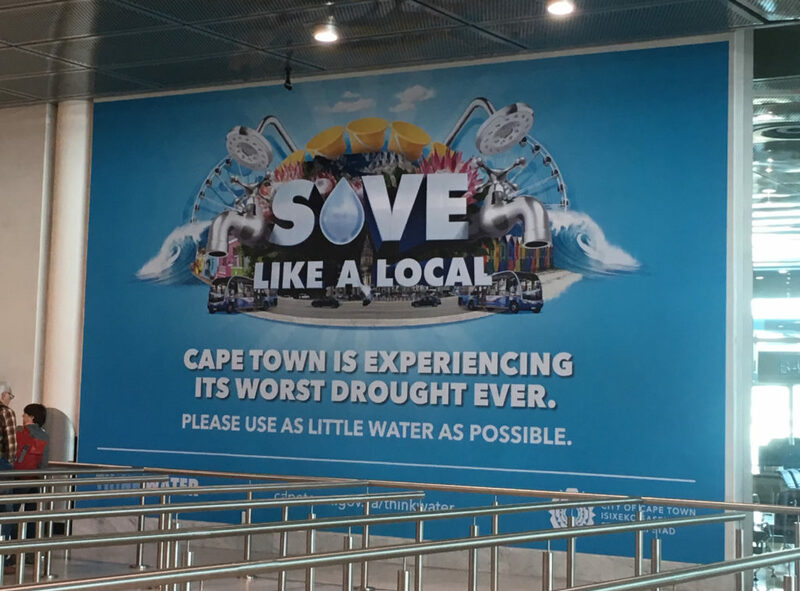 This has been abundantly clear this Christmas season during a time when Cape Town is experiencing the worst drought in over a century. 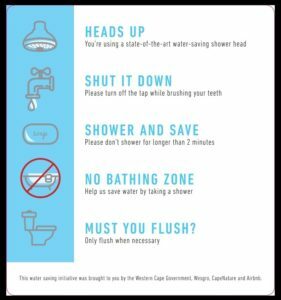 Day Zero – the day the taps will run dry – is currently set by the City of Cape Town as 04 June 2018. The news of the water crisis has hit international headlines since the beginning of 2017. Tourists reported bringing extra bags of clean clothes as they were told they could not do washing. They bought bottled water and were inundated with media campaigns on inbound flights and airport billboards highlighting Day Zero. Fortunately, tourists are increasingly becoming environmentally conscious, and thus are more inclined to seek out environmentally savvy facilities. The hotel industry in particular has taken steps to provide world-class and environmentally friendly accommodation for guests. A recent study of TripAdvisor reviews suggests that established eco-measures rank high amongst tourists’ choice of the hotel and are among the most positive comments about their experience while staying there. One example of a hotel that is the current gem of the industry is the four-star Hotel Verde – Africa’s greenest hotel. Not only does their building hold a 6-star Green Building rating, but it is also the first hotel in Africa to offer carbon-neutral accommodation and conferencing facilities. The Westin Cape Town is another innovative hotel that has set a goal to reduce energy consumption by 20%, and emissions by 30% by 2020. They have committed to doing more to consume less, and have consequently established their own green policy. The Westin also offers an innovative “Make A Green Choice program”. Guests staying more than two nights, are invited to participate in the program by foregoing daily housekeeping and turning down services. These guests are then rewarded in cash or on a points system for choosing to conserve the natural resources in their guest room. Encouragingly, guesthouses and BnB’s are stepping up to the plate too. Fitchett says that also these accommodation types are usually unable to make big changes – like those seen in the hotel industry – small changes are often a double whammy of pleasing eco-conscious guests and reducing running costs – e.g. low flow showerheads, LED lightbulbs. In Cape Town alone there are 17 600 active Airbnb listings on the short-term rental website. It is pleasing to see that the platform is becoming increasingly environmentally attentive. Airbnb has encouraged its hosts to place signs in bathrooms, such as the one below, reminding guests of the Province’s crisis with the aim to curb water usage. In addition, as part of its joint campaign with Wesgro, Airbnb has begun handing over 700 low-flow showerheads to hosts across the peninsula, as part of an intiative to encourage Airbnb hosts to save water. From a carbon perspective, we at Carbon Calculated include accommodation as one of the carbon indicators for business travel within our corporate reports. We are looking forward to updates on the international Hotel Footprint Tool, which is soon to include emissions per night stay in South Africa. It will be interesting to see how our country compares to other countries in the world. In terms of performance, we are expecting a high rate of emissions per night’s stay primarily due to our dirty coal powered electricity, one of the greatest challenges we face to reduce our country’s emissions. However, with the innovation and drive towards more sustainable solutions plus an increase in pressure from environmentally conscious tourists, we believe that this rating will be a baseline from which to work. Looking into the future – with improvements and opportunities on all environmental fronts – this will result in lower emission and water rates per night into the future in our beautiful and environmentally conscious land. -Nici Palmer, Founding Member of Carbon Calculated. Special thanks to Dr Jennifer Fitchett from the University of the Witwatersrand for her input.